Single phase UPS systems that are compact, adaptable and reliable. Our single phase UPS systems are perfect for small to medium offices and comms rooms, suitable for applications including desktop PCs, small servers and network servers. 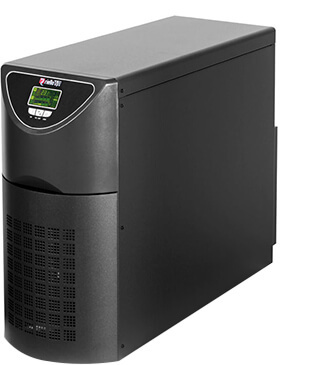 Carter Sullivan’s single phase UPS systems are available from 6kW to 30kW, featuring double-conversion online power protection to offer the highest level of reliability. Engineered to scale power and runtime, they adapt easily to increases in demand, protecting your equipment and data from expensive disruptions. All our single phase systems can be installed in a rack, making them compact for offices where space is limited. We are trusted partners of market-leading manufacturers including Eaton, Riello and APC. As an independent provider of their UPS products, we will select the best single phase system to meet your business needs. We have been working with Eaton for a number of years and are continually impressed by its product quality, its dedication to pushing boundaries and bringing new ideas to market, and the focus the company puts giving the very best customer service. Buy partnering with Eaton, we are able to use our combined expertise to approach every critical challenge individually. We focus on providing you with the right solution for your business by creating a bespoke system tailored exactly to your needs. That, coupled with the unparalleled level of support provided by our expert engineers, ensures that your business is our top priority. Eaton UPS systems deliver superior quality backup power to suit a wide range of needs, from desktop PCs to large data centres. Its products provide power from 300VA to 800kVA. The Eaton 9PX UPS provides energy-efficient power protection for small & medium Datacentres, IT rooms and Infrastructure. Delivering double conversion protection with 40% less energy usage and 28% more power 9PX is the perfect UPS for IT and Facility managers that are concerned by energy cost and are looking for next-generation power protection solutions. The Riello Sentinal Power is the ideal solution for powering vital mission critical, sensitive loads such as electro-medical security applications in order to guarantee maximum reliability and availability. The load is powered constantly by the inverter which supplies filtered, stabilised and regulated sinewave voltage. 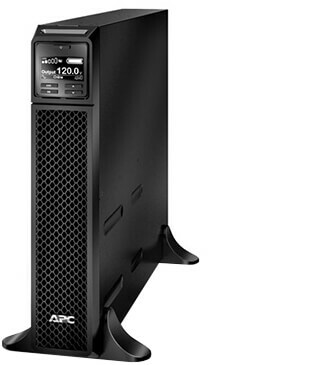 This UPS range is without doubt one of the best UPS systems on the market today thanks to the technology used, the features (selectable Economy Mode and Smart Mode) and the diagnostics offered (custom LCD display, RS232 and USB interfaces complete with Powershield³ software, EPO contact and slots for optional interface boards). Smart-UPS On-Line provides high density, true double-conversion on-line power protection for servers, voice / data networks, medical labs, and light industrial applications. Capable of supporting loads from 1 to 20kVA in a rack/tower convertible form, the Smart-UPS On-Line is available from 2U to 12U. Recent family extensions at 15 and 20kVA enable support of power hungry blade servers or heavily loaded equipment racks. When business-critical systems require runtime in hours, not minutes, Smart-UPS On-Line can be configured with matching battery packs to comply with aggressive runtime demands. The included PowerChute management software provides unattended graceful shutdown of network operating systems. All models 5kVA and above include an integrated Network Management Card for remote management (optional on models below 5 kVA). 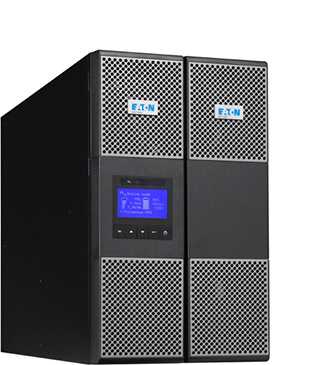 The Smart-UPS On-Line family provides customers with a reliable source of uninterruptible power even in demanding power environments, including very wide input voltage window, extremely tight output voltage regulation, frequency regulation, internal bypass, and input power factor correction.